Black is a beautiful color for hair, but very few people actually have this shade occur naturally in their locks. This means that we need to rely on a good hair dye to achieve a deep black color that's flattering and lasts a long time. There are a huge range of options out there on the market for black hair dye, but there are some that really outshine the others in terms of performance. In this article, we'll talk about how to find the best black hair dye for truly amazing color. Is Hair Dye Right For You? If you've never dyed your hair before, it's important to make sure you are ready for this commitment before purchasing your box of at-home color. You should be completely invested in making such a large change to your appearance, because although the dye is technically temporary, reversing its effects can be quite time-consuming and require help from a professional stylist. There are many online tools that can help you determine what you’ll look like with black hair, which may be worth exploring if you are on the fence about this change. You can temporarily upload an existing photo of yourself to the internet, and software will modify the color of your hair so you can get an idea of how a new color will look with your features. It's also important to note that hair dye can be a little harsh for your locks, particularly if you are going more than three shades darker than your natural color. Some damage to your hair is inevitable, but if you are prepared to spend a little extra time to take care of it, you should be able to keep it healthy. When using hair dye, it's important to do a very small test on your skin a few days before using the formula on your hair to ensure that you won't have an allergic reaction to it. It is also very important to use any conditioning products that come with the dye as well, because these are specifically designed to prevent breakage and help your color last longer. There are many tricks that can help you find the perfect shade of at-home hair color for you. The first thing to consider is the actual color of the product itself. There are a variety of shades of black available - some are a true cool jet black, while others are a bit warmer with hints of brown. To determine which one will look better on you, go with the option that matches the current tones in your hair. It's also important to consider the quality of the hair dye and the ingredients that are used. Some people may opt to go for a completely natural hair dye, but even if you don't, it's still very beneficial for your hair if the dye has some ingredients that are included specifically to nourish the hair and keep it healthy. 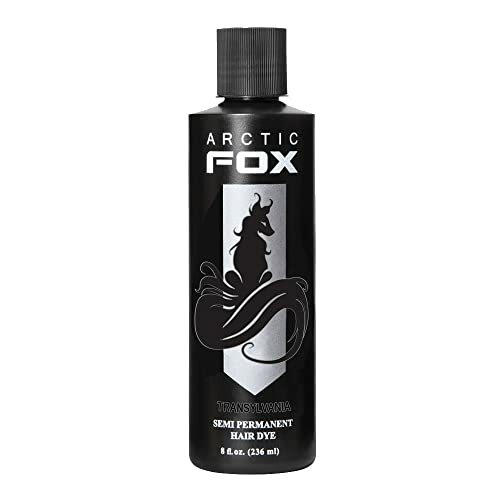 If the dye comes with a special conditioner or other products that you can continue to use after the initial process is finished, even better. Finally, you should look for a hair dye that is easy to apply. Many hair dye systems come with tools to help you get the dye onto your hair, like a brush or even a squirt bottle. If you haven't dyed your hair at home in the past, these tools can be very helpful. There are many different kinds of hair dye to choose from, and some are much more effective than others. We've compiled a list of the best black hair dyes that are readily available online and provide great quality color for your hair. The Garnier brand is known for making affordable hair products that are still very nourishing and pleasant to use, and this hair dye is no exception. This permanent dye has a very rich color that comes out even and stays vivid for a long time. The dye has a blend of nourishing avocado, olive, and shea oils which help keep your hair healthy and prevent it from drying out during the coloring process. They also use grape seed oil in their dye, which provides nourishing effects right as you start dying the hair. We really enjoy this formula because it has a thick consistency that is very easy to apply accurately, and it comes with a bottle applicator that is good for beginners to use. 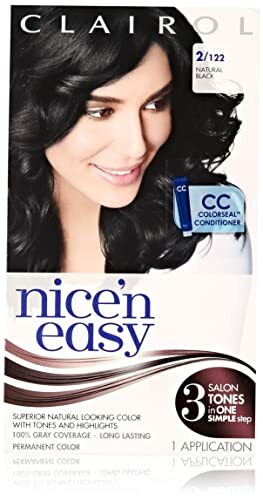 It also comes with a conditioner that you can apply after rinsing the dye out and then continue to use afterward, which smells very nice and leaves the hair shiny. 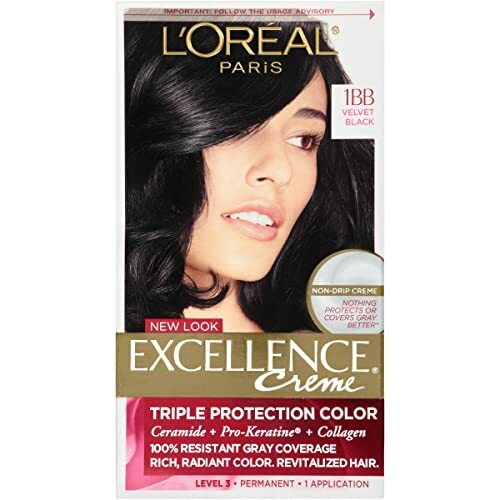 This is another popular brand of hair dye that is very accessible and provides good value for money. It is very strong and is designed to completely cover grey hairs, so if this is something that you are concerned with, this dye may be a good choice for you. Each step of the dying process contains an ingredient to help protect your hair and keep it healthy - the serum contains ceramide, which protects dry and damaged hair from further breakage, and the creme contains a pro-keratine complex, which helps maintain the hair's natural structure while adding color. It comes with a sealing conditioner that has collagen, which is a compound that is naturally produced by your hair that will help keep it healthy. The color looks soft and flattering when applied correctly, and doesn't fade over time. Clairol is known for their hair color blends that create a very natural and flattering look. They combine multiple tones into each color they make, so you get a shade that is three-dimensional and looks more natural than just a single tone. This color is also designed to last for a very long time with no fading or touch-ups - as long as two months, which is more than many other brands offer. They have a precision tip applicator that is fairly easy to use, and the system comes with a conditioner to protect the hair. It also has a neutral, non-offensive smell. If you are looking for a vegan or cruelty-free way to dye your hair black, then this henna formula may be your best bet. It contains no pesticides or chemicals, so it is not nearly as harsh as traditional chemical alternatives. It is made fresh in India, and comes with a mix of henna and indigo powder. Henna is extremely long-lasting, so you won't need to touch up for a long time, and the color is very bright and vibrant. Another benefit is that you only need a small amount for the product to work, so one bag can last for two or three applications. This is another popular vegan alternative to traditional hair dyes. It doesn't contain any harsh chemicals or animal by-products, and they donate 15 percent of the profits to help animals. Although it is only a semi permanent color, it still lasts about six weeks before it starts to fade, so you can get a very good wear out of it. It has a nice, fruity smell, and doesn't do damage to your hair the way a stronger chemical product does. 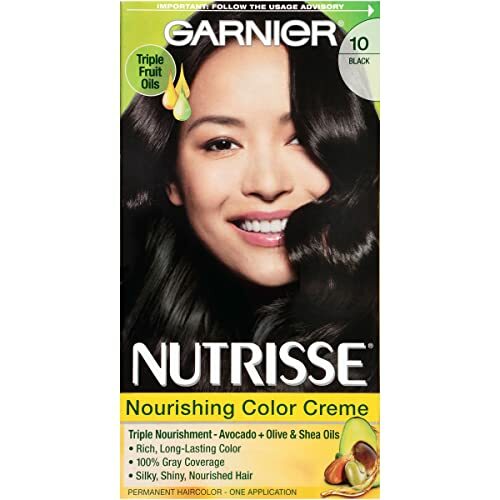 While we like all of the products recommended here, we particularly love the Garnier Nutrisse brand for a good combination of flattering color and nourishing formula. 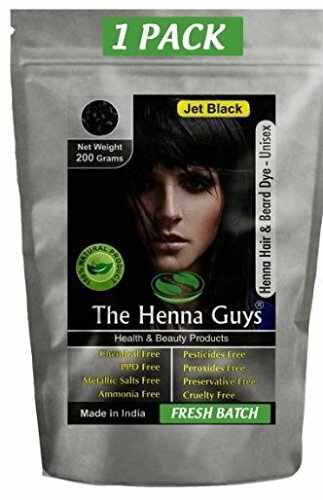 However, for those who need a vegan option, The Henna Guys or Arctic Fox also provide a great way to dye your hair black without the chemicals. Overall, every product is a good alternative to paying salon prices for beautiful black hair.